REMEMBER: Whenever we discuss anatomical positions or planes, we are referring to the human body in the upright position, legs slightly separated, and palms facing forward (see image above). In mathematics, you learned about the 3 planes of existence. We live and experience the physical world in 3D! (And you didn't even need 3D glasses! )​ 3D means 3 dimensions. 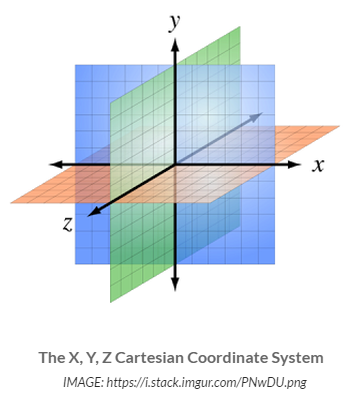 The Cartesian coordinate system depicts the 3 dimensions of our reality as shown in the image here. The first dimension is a number line, noted in the Cartesian coordinate system as 'X'. A number line has only 1 dimension. That means that there is only left or right. No other "directionality" is possible in a world with only one dimension. The second dimension 'Y' is then added to the first dimension 'X' to form a 2-dimensional grid. This gives us a flat plane of existence in which left, right, up and down are now possible. ​When we talk about PLANES, we are talking about the 2-dimensional geometric plan of existence, shown here. SInce humans (and all tangible matter humans know of) are not flat, we need to add a 3rd dimension to our Cartesian Coordinate system. Adding the 'Y' dimension, gives us depth. This is important because we can superimpose the human form on this 3-dimensional grid and pinpoint with utmost accuracy any point inside the human body. How are anatomical planes used? Being able to pinpoint any specific point in a person's body is necessary for such advances in cancer treatments such as tomotherapy. MRI and CT Scan images are used along with sophisticated computer software to accurately calculate the precise location in need of attention. Afterwards, a computer can guide and direct electron beams (or other radiation) to kill the affected tissue while preserving the healthy surround tissue. These advances have not only increased the survival rate of cancer patients, but have drastically reduced the unpleasant, and often debilitating, side effects of chemotherapy or traditional radiotherapy techniques. So, on this page we will be looking at planes! Let's think about it this way. Take a loaf of bread. There are a lot of different ways to slice bread. You can bread into cut cross-sections (or coronal sections) like a loaf of bread. Or you can cut bread length-wise (sagittal section) like a hot dog bun. 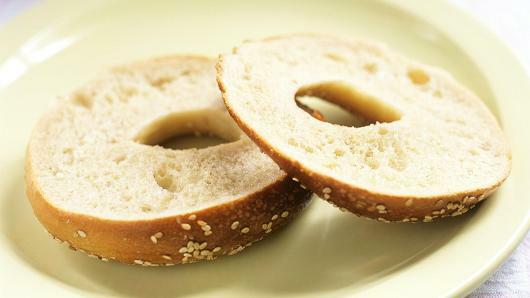 You can even cut the bread horizontally (transverse sections) separating the top from the bottom, like we see in a sliced bagel. The Anatomical Planes of... 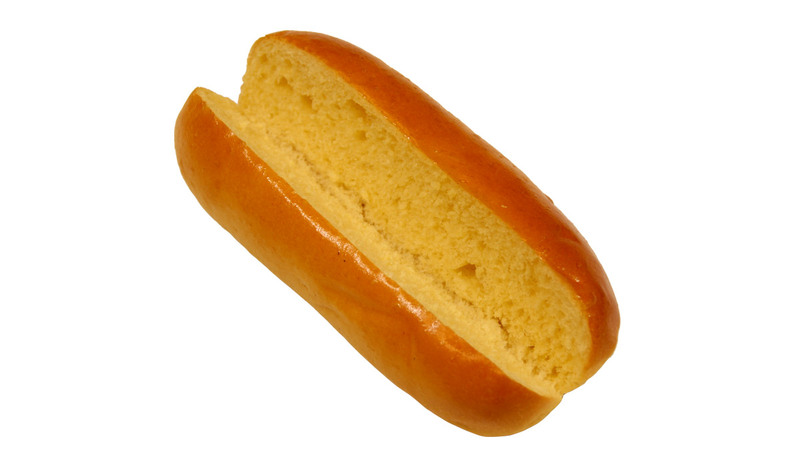 Bread? Anatomical Planes Like the bread examples above, are very useful for communicating where a point of interest is located within the human body (or any body, for that matter). In anatomy we have three basic planes of sectioning through the body. Sheldon Expresses his Favorite Spot as a Position on a 4-Dimensional Cartesian Coordinate System. 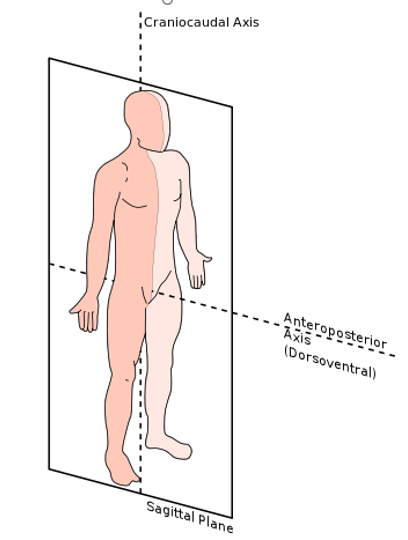 If we orient our human on the grid above, in the anatomical position, the body would be facing forward, the head and feet would be located along the 'Y' axis and the arms would be located along the 'X' axis. The sagittal plane would be Y, Z, the coronal plane would be X, Y and the transverse plane would be X, Z. Compare the image below to the 3-Dimensional Cartesian Coordinate System above. ​The plane shown in BLUE/PURPLE is the coronal plane. The plane shown in GREEN is the transverse plane (also called a cross section). 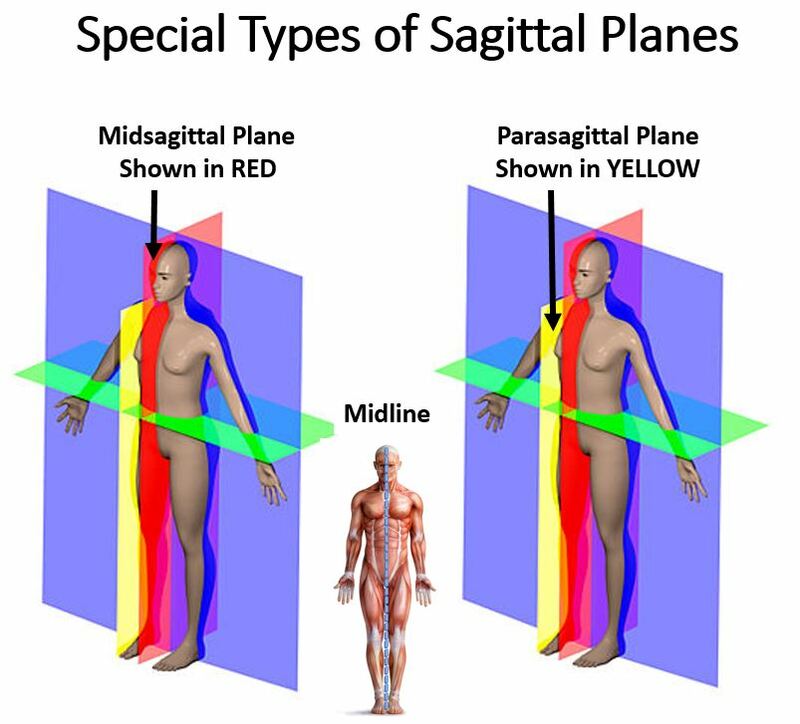 The plane shown in RED is the sagittal plane that is exactly at the midline and it can be more specifically referred to as the midsagittal plane. The plane shown in YELLOW is called a parasagittal plane. 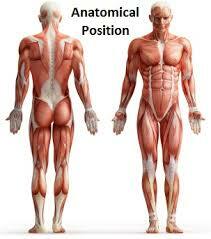 When a sagittal plane is moved either right or left from the midline, it is considered a parasagittal plane. The sagittal plane runs vertically through the body dividing the body into the left (sinister) and right (dexter) sides . The coronal plane (also known as the frontal plane) divides the body into front (ventral or anterior) portion of the body) and back (posterior or dorsal) portion of the body. The transverse plane separates the body horizontally. A "transverse section" can also be called a "cross-section" of the body. This plane separates the superior (or upper) part of the body from the inferior (or lower) part of the body. Oblique sections are not very useful in most situations in medicine. It is rare to see this type of section done in histology or when using imaging techniques. However, this term can be used to characterize the angle of a wound.